The Engagement Economy has introduced a new paradigm for marketers: you’re competing for an increasingly finite supply of audience attention as your prospects and customers are bombarded with marketing messages across new channels and digital media. The only way forward is laser-focus on personalization in each conversation with your audience. The formula for doing this is simple: Listen, Learn, Engage. 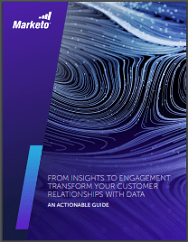 By downloading this guide and working through the exercises inside, you can uncover all your organization’s listening opportunities, identify what is needed to establish a useful learning infrastructure, and put in place a foundation to engage effectively at scale.